Steve McClaren urged his players to do themselves justice against Watford in the FA Cup fifth round after QPR’s replay victory over Portsmouth. Rangers will face the Premier League side at Loftus Road, where second-half goals from Nahki Wells and Matt Smith saw off Pompey. Rangers are in the last 16 for the first time in 22 years. And McClaren believes they are capable of causing an upset a week on Friday and securing a place in the quarter-finals. The R’s boss said: “It’s the FA Cup and anything can happen. “We’re at home, it’s Friday night under the lights and it’s an opportunity for certain individuals and the team to show themselves against Premier League opponents. “Watford are a very good team and we’ll have to put in a top performance to get any kind of result. “I just hope we put a performance in that justifies what we’ve been doing. McClaren’s side had to be patient against Pompey, who troubled Rangers at Fratton Park but this time were very much second best and rode their luck before Wells broke the deadlock with 20 minutes remaining. Darnell Furlong had headed against the bar as the hosts dominated large spells of the game. 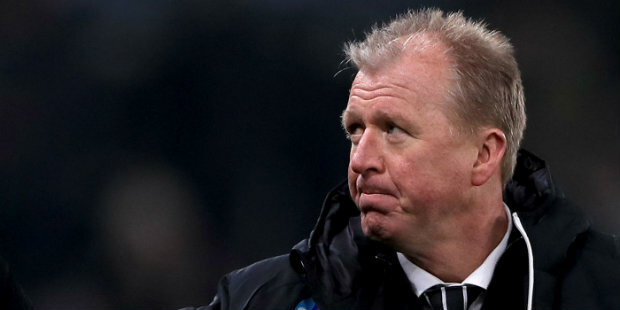 It was therefore a win McClaren felt they thoroughly deserved. “I think so. I would say it was a very professional performance,” he said.